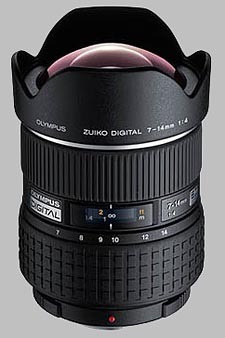 (From Olympus lens literature) Discover the wide-ranging power of the 7-14mm ED Zoom, the widest Digital Specific Lens offering complete rectilinear capture within a 7-14mm range. Designed with Super ED, ED, and aspherical glass elements for a wide distortion-free view and superior sharpness and color from edge-to-edge of the image. With an intuitive built-in CPU that communicates image information directly to your E-System Digital SLR for an even greater level of precision. Ideal for ultra-wide to wide photography. and among these, the Zuiko is the best lens, followed by the Zeiss. Canon has really no wide angle that has usable corners nor an acceptable sharpness wide open. This is really a very nice lens and it does almost not have a disortion at the wide end. Wide open, very far corners become a bit softer. But nothing really I could complain of. Paired with my 14-35, this is THE combo. I have never used a better wide lens - period! I have shot with many name brand optics... none were as impressive as this one - excellent color, razor sharp, well controlled distortion - Tremendous perspectives for architecture and landscapes! I bought the E-300 just so I could use this lens! No other DSLR manufacturer has anything like it. Only the full-frame hybrids can go as wide, but only with old film lenses, which are not designed for digital. I typically only use it at the extremes of the zoom range. I would have been just as happy with a fixed-length 7mm, especially if giving up zoom would have given me more aperture. But beggars can't be choosers -- at the time I bought it, it was the only way to get outstanding quality 14mm-equivalent field of view.